Our company is dedicated to delivering the highest quality and best total value to our customers. We are keenly aware of the importance of reliability, efficiency and environmental impact of our product range, making every effort to provide our customers with full satisfaction of knowledge they need. We collaborate with the best consultants from the hospitality industry viz. chefs, manufacturers, hotel operators and foodservice specialists. 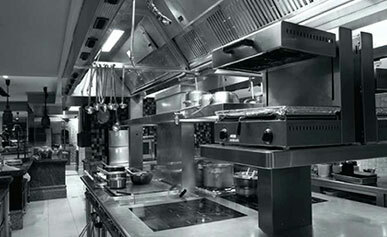 Global excellence and world-class quality are the hallmarks of Emirates Kitchen Equipment since it was established. We represent internationally acknowledged trademarks, all of which, for many years have been widely supplying equipment related to Kitchen and Laundry in the United Arab Emirates and GCC region.